We've had an exciting year here this year. Our oldest graduated from high school and turned 18. 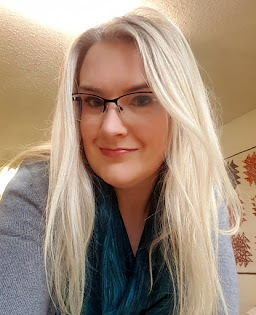 I turned 40 last week(woo hoo!) and next month Jim and I celebrate our 20th wedding anniversary. This year we wanted to do something big; but we weren't sure what. We were living in California when we had our 5th anniversary. Went to NewYork City for our 10th and for our 15th it was off to Honolulu. We debated different places; knew we wanted to go somewhere warm but we aren't sit on the beach peoples. One night Jim mentioned the idea of a cruise. Next thing I knew, he did this. A 12 night Mediterranean cruise! We fly into Istanbul, Turkey(!!!!! ), spend a few days there then board the ship. We have 3 more ports in Turkey before heading to the Greek Islands, Naples and ending in Rome. This is seriously a dream come true; I've only ever wanted to go to Turkey and Greece in Europe and we get to hit them both with one shot. The quilt measures roughly 56x56. It was pieced and quilted by me. The pattern is a freebie from Moda Bake Shop. So leave a comment on this post and I'll draw a winner when I get home(on the 25th). Congratulations on 20 years! What a wonderful trip you have planned - that one is one my bucket list! Congratulations, Rhonda! All those milestones in one year... funnily enough I had the same ones all in one go as well... (only not this year ;o). Wow. I'm so excited for you! What a wonderful way to celebrate your anniversary. Wishing you safe travels and a wonderful time. Congratulations - I've been to Greece on a high school trip (before you were even married it was that long ago) - Loved it and a cruise sounds divine!!! Safe travels and can't wait to see the tales of your adventure! What a wonderful surprise!!! Sounds like an awesome adventure ahead! Thanks for the chance to win your giveaway! Have a fantastic trip... and color me jealous! Oh I hope you blog about the cruise! A Mediterranean cruise has always been on my bucket list. Congratulations on your anniversary. And thanks for this awesome giveaway opportunity. 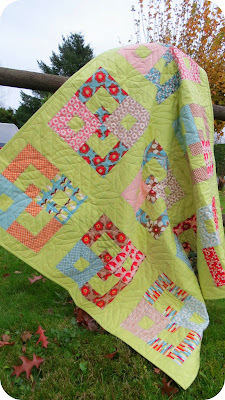 The quilt is beautiful - I love the unique background color. Happy cruising! I'm so excited for you! 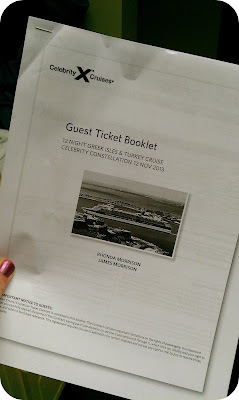 Our 20th anniversary cruise had to be cancelled, so I am living vicariously through you :) Can't wait to see the pics! Have fun! Congrats on all the milestones in your life. Enjoy the holiday! Congratulations! Twenty years is something to brag about! Enjoy your cruise! Such a beautiful quilt - I'd love it! What a wonderful surprise for you. I've always wanted to go on a cruise, but DH has always NOT wanted to go on a cruise! I'm sure you'll have a wonderful time. Congratulations on your anniversary of marriage and your blog. Love your blog. 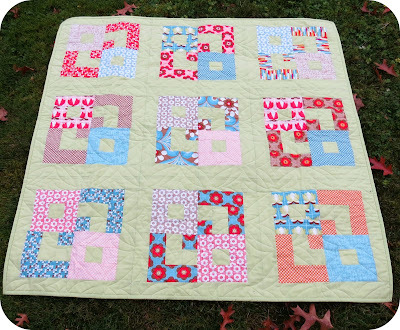 Love love love your quilt. Thanks for the chance to win. Hope you had a great trip. Happy anniversary! 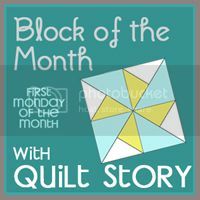 I'm so jealous of your cruise, I"d love to travel :) What a gorgeous quilt, thank you for the giveaway! I can't believe you are giving that beautiful quilt away. I just will pretend it's a anniversary present for me since there's no cruise in my future. I just stopped by your blog again. . .finally. . .and so much good news you have to share! 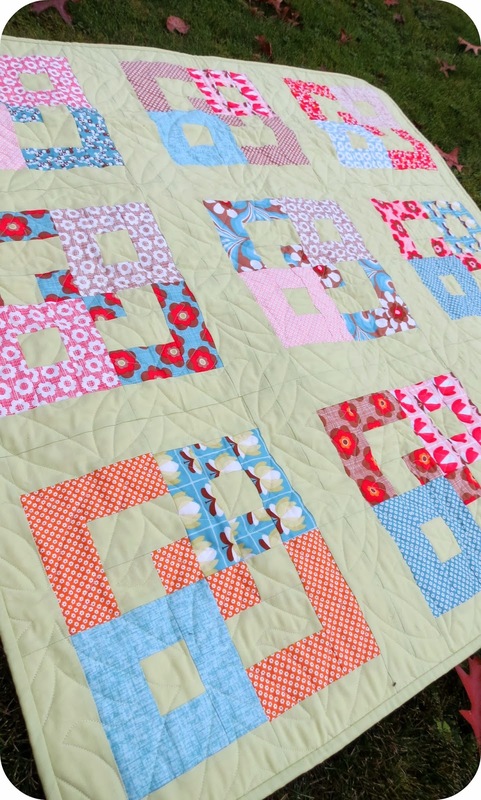 please enter me for your gorgeous quilt! Congratulations on your anniversary - was nice to see pictures of your cruise - now I want to go! I love the quilt - and my infant daughter would too! It came, and once it warmed up from being in the mailbox overnight, it was great to nap under! Thanks again - I love it!